Happy "Good Friday" Everyone! Because of the sacrifice that Jesus gave on the cross on this day long ago, we have access to God! We can talk to him and have a relationship with him. We can pray to him and he will hear us. He loves us so much that he gave his only son so that we might have hope of eternal life with Him. What an amazing thing! I am so thankful! Here is the card that I'm entering in the StampTV Inspire17 Challenge. 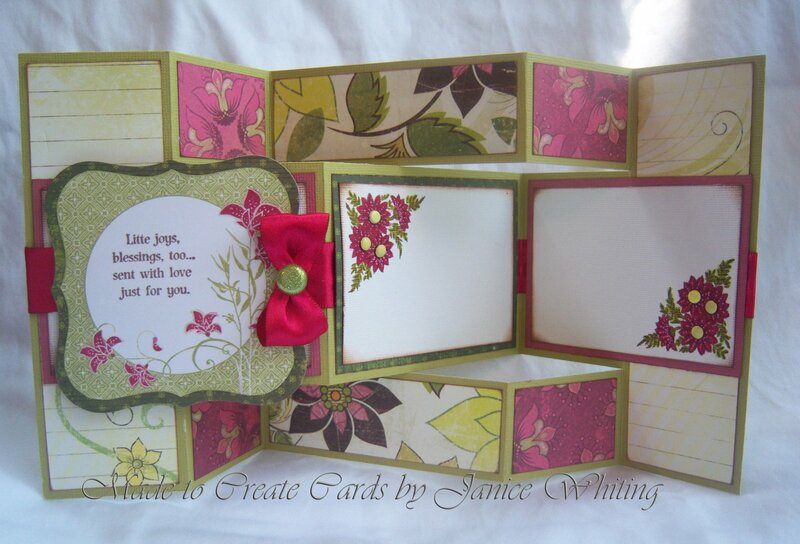 Gina gave us a great inspiration photo of this fun iron gate and challenge us to make a card with a fancy fold. 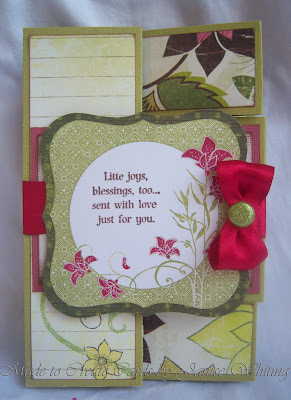 I'd seen this super fancy fold on StampTV and on another site and just had to make one for this challenge--WAY fun! Unfortunately, I didn't notice that I used the stamp with the typo on it before I had it all done! :( Oh, well! I'll go back and insert an "l" and call it good! Whatta ya do?! Anway, thanks for looking! Have a blessed Easter!!! What a great project! I have to try making one of these.